The "Blue Water Paradiese" that hugs the northcoast of NSW. 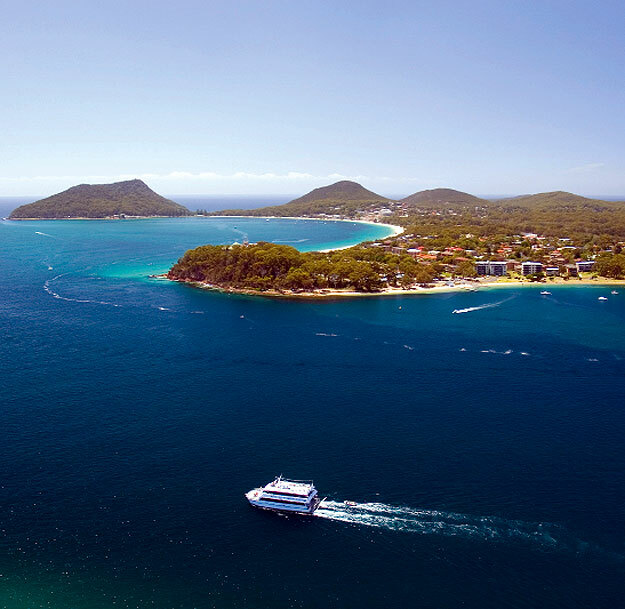 Image by Port Stephens Visitor Centre. Looking in every direction, it’s impossible not to be taken aback by the endless panoramic views of the beaches that border this NSW north coastal town. 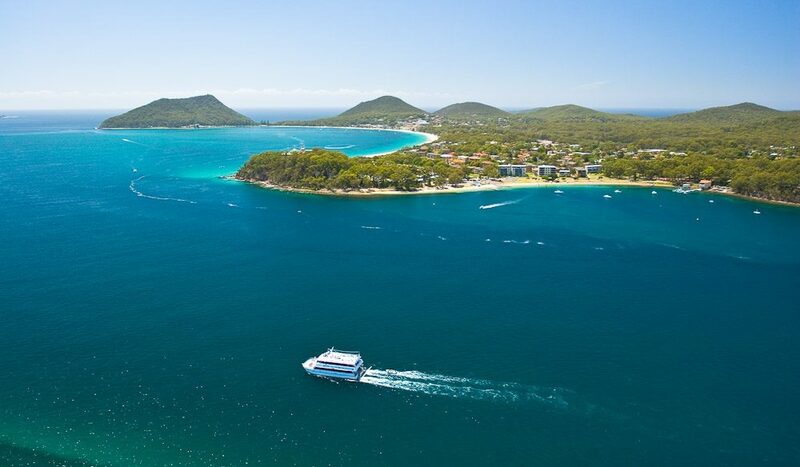 Part of Port Stephens, Nelson Bay is the largest town in the “Blue Water Paradise”. More than 160 bottlenose dolphins have made it their permanent home, and it’s the port-in-passing to over 3000 migrating whales each year. Rows of bobbing boats line the shores, some private charters, others just private luxuries. Moving with the times is the Nelson Head Inner Lighthouse that has been operating since 1872; previously lit by a kerosene lamp, nowadays it runs on solar energy. Littered with an abundance of Gymea Lilies, the Gan Gan Lookout in nearby Tomaree NP is the area’s highest and most accessible lookout point, while other must-dos include tobogganing down the dunes of Stockton Beach, eating some of the state’s best fish and chips in the harbour, swimming, surfing and snorkelling the crystal clear waters, settling in for afternoon coffees at the marina, and cycling along the tidy beachside bike paths. Where? // 207km (3hrs) north of Sydney. Did you know? // The native Gymea Lily flowers twice a year, coinciding with whale migration to the area. The first time it flowers, whales pass by to the north; on the second flowering, they head back south.